It’s a throwback to a time when Harlem was still a rural village and not yet legally part of the city. 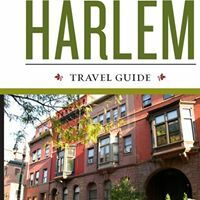 An old clapboard house, widely considered to be the oldest single-family home still occupied in Harlem, has been sold for $3.6 million to a new owner who plans to turn it into a home and practice facility for struggling young musicians, the Daily News has learned. The famed wooden property, at 17 E. 128th St., dates back to 1864 and is one of the few surviving frame houses in the neighborhood. It was landmarked by the city in 1982. The new owner, San Francisco-based e-commerce executive Jack Stephenson, told the Daily News that he plans to lease the property to his friend, famed opera singer Lauren Flanagan. Flanagan will turn the house into a new location for Music & Mentoring House, a not-for-profit organization providing upscale affordable housing and mentoring to students studying in the arts.